Despite the current age of Instagram and Twitter, food photography always has, and always will be, an unrivaled art-form. 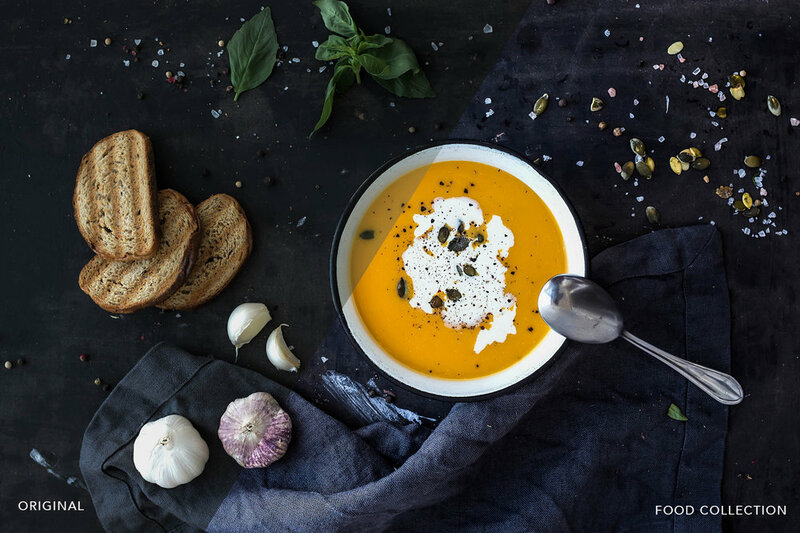 Usually achieved in strictly controlled studios where everything from temperature to lighting is closely regulated, food photography often takes exorbitant amounts of time, effort, and man hours; not to mention a very highly skilled photographer and food stylist. These mouth wateringly striking images are what you see every day in magazines, on billboards, and in commercials, though few ever know what kind of effort it really takes to create them. Luckily, the age of developed film is a bit behind us, and the digital age has taken a firm hold on the world of photography. Photos can now be viewed as soon as they are taken, and the post editing has become where the real magic happens. Everything is now adjustable with the click of a button, from lighting and saturation to filters and even angles. 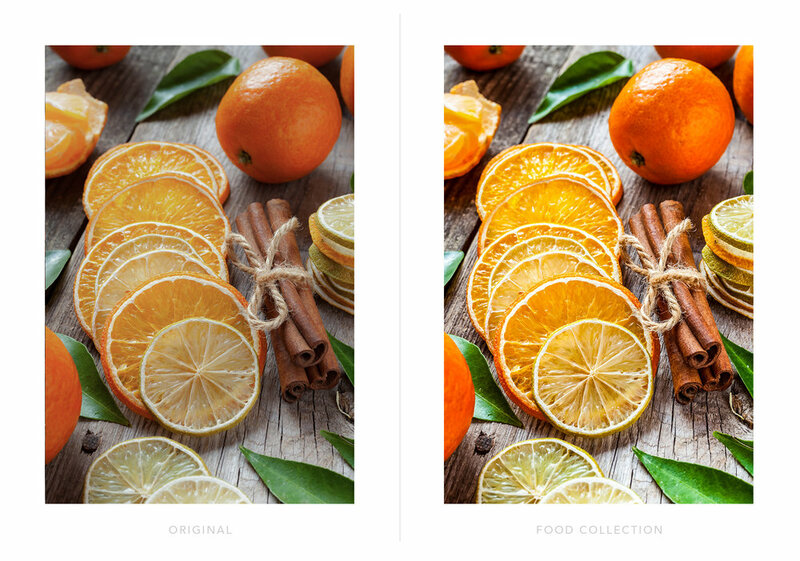 Food photography is no longer a skill reserved for those with the most expensive camera or the best lenses, but is now available to any and every one willing to purchase post-production photo editing software like Adobe Photoshop and Adobe Lightroom. 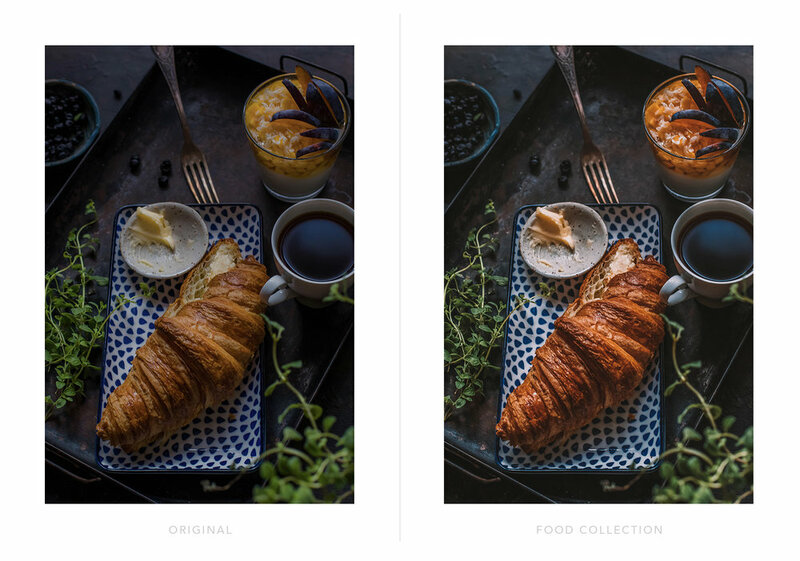 With these programs and an arsenal of presets for food photography, you’ll see just how quick and accessible the food photography world has become in the new digital age. Once you take that first photo of your succulent double cheeseburger straight out of the kitchen, or the beautiful buffet that was set up for your friend’s wedding, you’ll realize just how difficult it is to capture the perfect photo of food. Poor lighting is often the biggest issue and can leave your steaming plate of beef bolognaise looking more like hamburger helper. This is where post editing software comes into play. 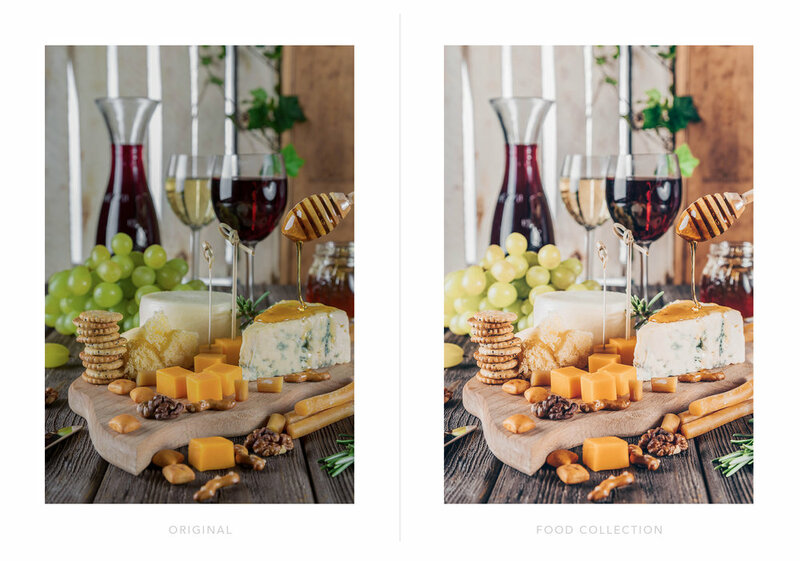 By using one of our food Lightroom presets, your picture will jump from dreary to electrifying with just the click of a button or a simple keystroke. 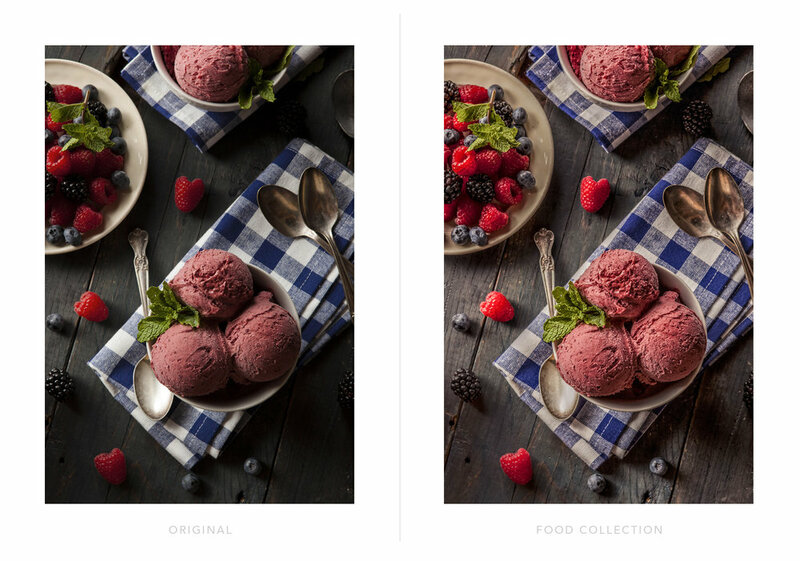 No more hassle fighting with the flash on your phone or the zoom on your camera; just leave it to BeArt’s food Lightroom presets, food Photoshop actions, and ACR Presets to get the job done. 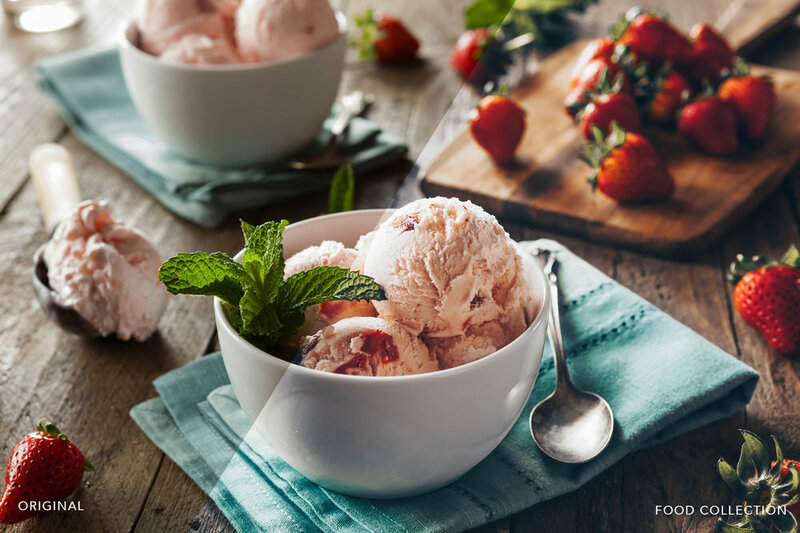 Photoshop and post editing has become quite the skill itself, but fear not, no job is too big for the best Photoshop actions for food photography in the industry. 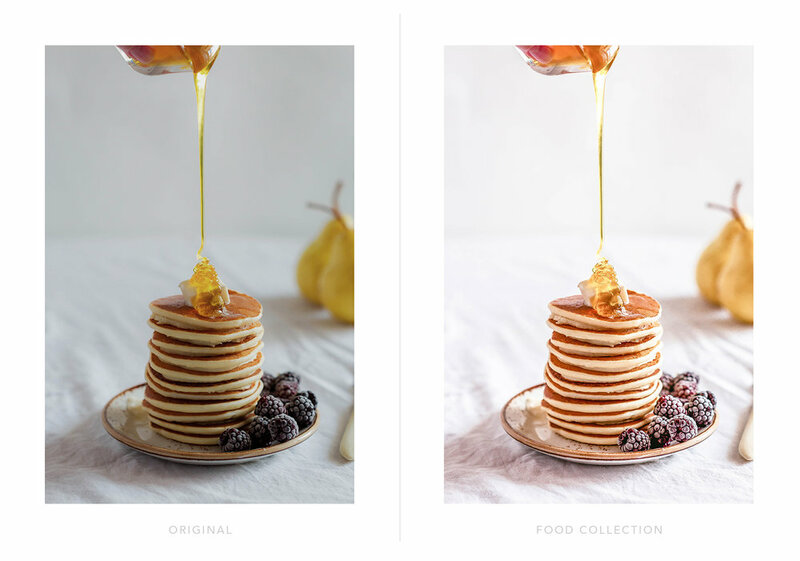 Our keystroke actions for food photography streamline the entire process; making it simple and headache free to create the most visually stunning food photos possible. By correcting exposure and enhancing shadows and small details with a few simple clicks, each photo will suddenly pop from the screen and have you wondering what kind of damage a fork will do to a computer monitor. 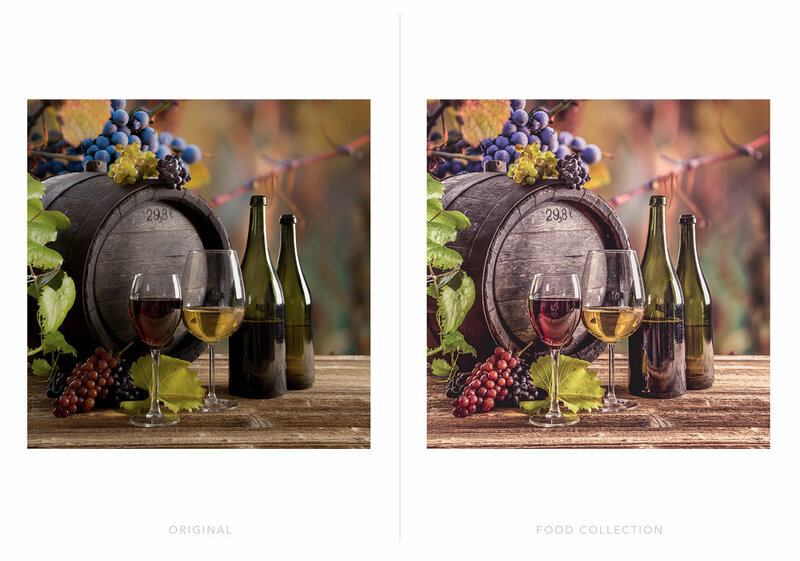 BeArt Presets provides state of the art Lightroom presets and Photoshop actions for food and wedding photographers that could meet and exceed any expectations. Choose between portrait, food, black and white, party and vintage presets and streamline your editing process.